Go to ALB Invader Gallery page and check out the identification information. Still think you have ALB? 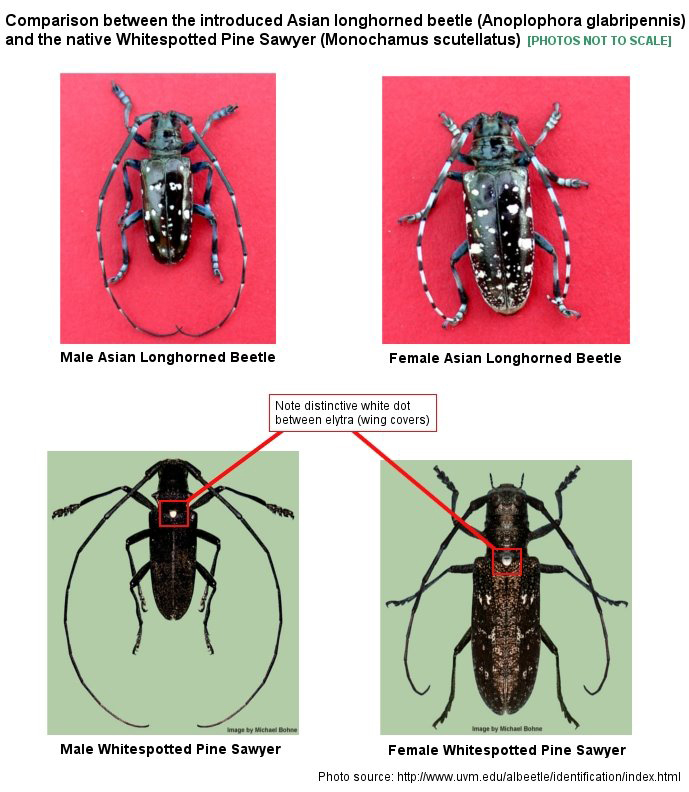 Check out the white spotted pine sawyer beetle, a beetle often mistaken for ALB and other ALB look-alikes. The whitespotted sawyer has one white dot between the top of its wings. ALB does not have this dot. The whitespotted sawyer’s wings are rough and bronzish-black as opposed to the ALB’s shiny smooth black wings.